From Royal palaces of the 17th century, to wistful cottages of the 20th, many of the world's most famous, influential and important gardens were created in the UK. Now, world-famous gardener and horticultural expert Monty Don explores the stories behind four of the country's most important gardens to unearth plans, diaries, letters and paintings with the aim of unpacking their fascinating secrets, and revealing how our most treasured outside spaces have evolved over the past 400 years. Richmond's Ham House, a perfectly - preserved house and garden that were at the epicentre of the political upheavals of the 17th century, where Monty discovers how gardens were used to cement influence and become key signs of status and power. Rousham House in Oxfordshire, designed by one of the first practitioners of the landscape movement - William Kent and has survived almost unchanged since its completion in 1741. Here Monty traces the evolution of four central gardening innovations of the 18th century including the ha-ha, the folly and the use of water. Kew Gardens, where the impact of the 19th century can be seen at every turn, after Kew was transformed from a private royal pleasure ground to the country's foremost botanical garden. 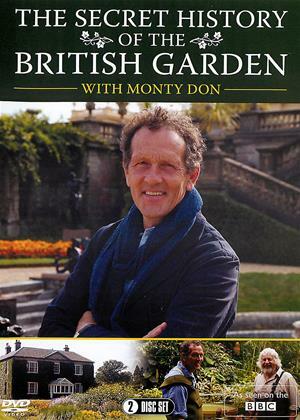 The concluding fourth episode, now in the 20th century, sees Monty examining the profound effect that two world wars had on attitudes to gardening. Today gardening is one of Britain's most popular pastimes, and the horticultural industry is worth over nine billion pounds annually. Monty reveals the pioneers who led this gardening revolution.